To help business owners connect with their users, micro-blogging website Twitter has launched Twitter Dashboard – an app to streamline engagement for business accounts. The company said Dashboard can help small and medium businesses engage with their audiences by creating a custom feed that shows what’s being said about them on the social network. The tool will also help schedule tweets. 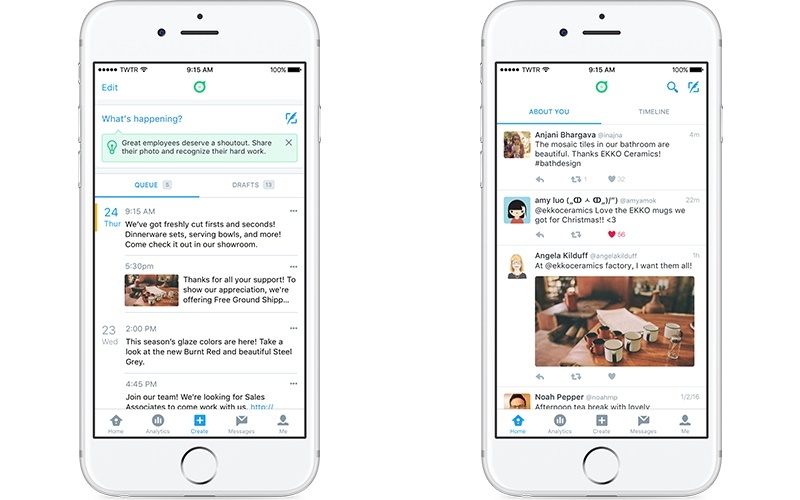 Twitter will also provide “Tweet tips geared just for businesses,” which will help start conversations and engage audiences. Earlier this week, Twitter added a new feature that would let a user add virtual stickers to photos by just searching them like hashtags. The company is also creating collections of stickers that are linked to the time of year and events such as New Year and Christmas. The new feature was similar to adding a sticker to a Snapchat post where a user can resize, rotate and add multiple stickers to each post. Twitter’s management has been doing everything to get the company back on its feet. Recently, it acquired 18-month-old London-based startup Magic Pony Technology to expand its capabilities in machine learning and artificial intelligence (AI). The announcement came a week after Twitter invested $70 million in popular music streaming service SoundCloud to push its stalled growth amid rumours that technology giant Google might soon acquire the company.